I am from a fairly small city in England. Therefore, Taipei is a wonderful blend of tradition and futuristic that I haven’t seen before. But, whilst I love Taipei, it’s YongHe that keeps me so entertained. YongHe has a certain ‘charm’ that has (previously by a friend of mine) been dubbed the “Wild West” of New Taipei City. Once one of the most densely populated areas on Earth (yes, you did read correctly, EARTH), YongHe has a rough population of 225,000 housed in an area of just 5.7km squared kilometres. Just take a moment to let that sink in, that means that there is almost 40,000 people per square kilometer. That’s almost as many people than live in my home city of Derby, at a fraction of the area. YongHe is full of people, but also full of delicious restaurants, ergo delicious food. Win Win. I want to share with you 10 places in YongHe that I love and regularly eat at. All within walking distance from an MRT or easily accessible bus routes. Plus, the fairly recent addition of Ubikes make it just as easy as Taipei to get around and, lets face it, everyone has a mobile phone with maps built in. This place is a regular feature, for me. It has everything I want for my weekend breakfast needs: soy milk (hot or cold depending on your mood), soup dumplings, radish cake, little sweetened red bean pastries, steamed cake and (my personal favourite) the fried dough stick wrapped inside a baked ShaoBing. Every night, this place is booming. Every night expect a queue outside the door for take-outs. But, the best part about this place, is you never have to wait to eat in. People just seem to love taking out, here. This place serves up some of the best fried rice I have had in Taiwan, it serves up a selection of 3 meats put on top of rice with some veggies, it serves up a Cantonese style crispy noodle dish and it serves up some awesome duck. Sometimes I don’t want to pay the prices of Taipei, as they are usually more expensive than in YongHe. When that Korean craving starts creeping in, I come here. Unassuming, it sits in a back alley just off the busiest road in YongHe, ZhongZheng road. This place serves up a delicious bibimbap, some great noodle soups and a pretty decent rice cake dish, too. It’s worth checking out! I hope you have all had the opportunity to eat some ramen noodles in your life, if you haven’t then this isn’t a bad place to start. This restaurant has been in YongHe for 3 years, now, and consistently serves up tasty Taiwanese style Japanese food. My usual order is the pork chop curry, but I have often eaten their ramen noodles with chicken and it is pretty darn good! 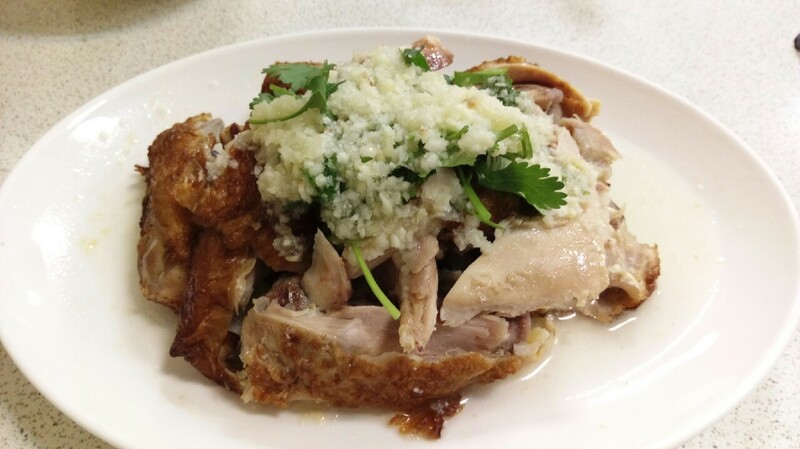 Cantonese food is synonymous with ‘Chinese’ food in England. So, I expected everything in Taiwan to be like this, when I first arrived. It wasn’t, which didn’t neccesarily upset me, but I do like Cantonese food so I make sure I have plenty stored in my pocket for when I fancy it. This place does a delicious congee, so note it down! I do love me some dumplings. You buy these in 10s, and usually pair it up with a bowl of their delicious soup. The skin on the dumplings is quite thick, the filling is delicious and the soups are equally as good. They also do some good noodle dishes. This place is popular, so be prepared to wait a few minutes for a table. But, it’s definitely worth it! This is my go-to restaurant for when I am sick. They do some fantastic soups here where they make them in their own individual bowl and then put them in a high pressure steamer to cook. The meat (either pork or chicken) falls off the bone and all of the soups are simple, delicious and healthy (I know, as I have ticked off every dish on the menu). They do a great pork gravy over rice and they do some delicious stewed vegetable dishes, too. Another firm favourite. I could eat this ever day. Cold braised duck wings, pigs blood rice cake, tempura, seaweed, kidney, heart etc etc. Nothing is over-salted, the flavours are simple but delicious. Make sure you get them to add on some of the pickled veggies, too! When you want a hot pot, and some fried chicken, too. But, seriously, the fried chicken at this place is really quite good! Order whatever you want to drop into the hot pot (all good ingredients), choose your soup base and enjoy. Make sure to order a side of fried chicken! A fairly new place, specialising in the Japanese snack of HongDouBing. They do a whole host of flavours: tuna, cheese, taro, red bean, sesame, matcha. They’re all pretty darn good! And it’s close to YongAn Market station, too. So, go for a wander around the winding back streets near the MRT station, and tuck in to a couple of these along the way!